Wash the quince but do not peel. Divide each fruit into four parts and remove the pips and any stringy fibres. 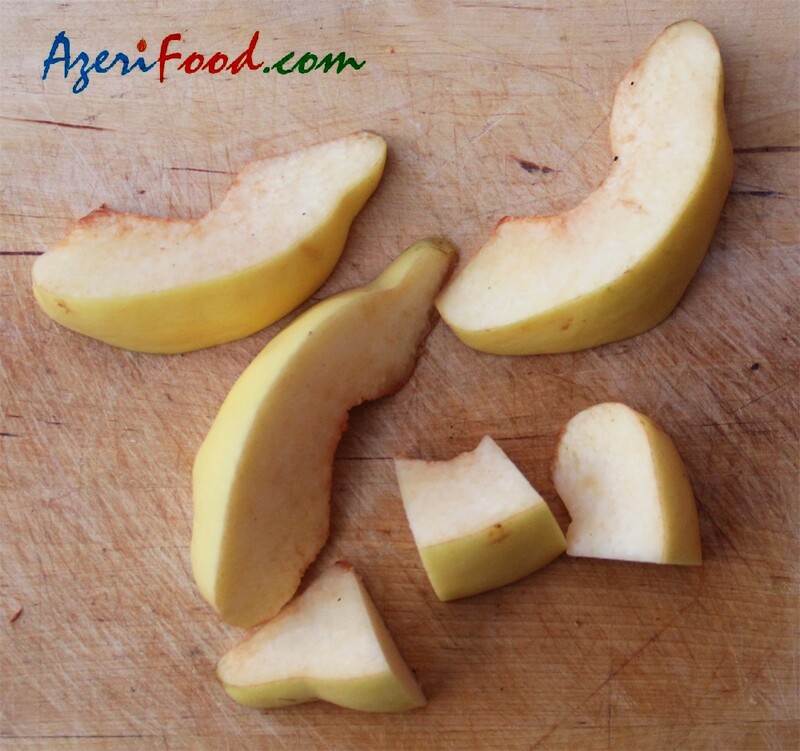 Cut into pieces around 3-4 cm long and 3 cm wide, or into smaller slices if preferred. Weigh the prepared quince so that their equivalent in sugar can be added. Dissolve 1 kg of granulated sugar in 1 glass of water (1 kg of fruit to 1 kg of sugar and 1 glass of water) and bring to the boil. As soon as the syrup comes to the boil, pour it over the prepared quince. 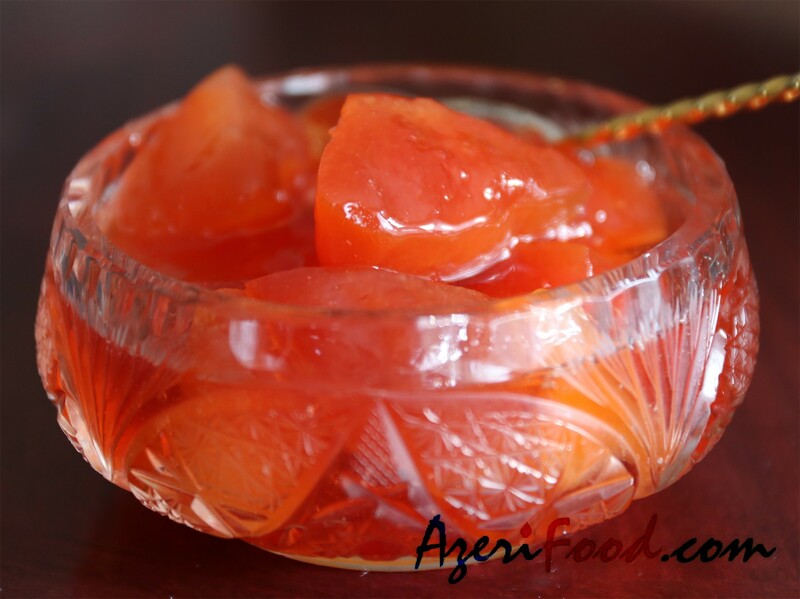 Use a large spoon to stir the quince, making sure that all pieces of the fruit are covered in the syrup. 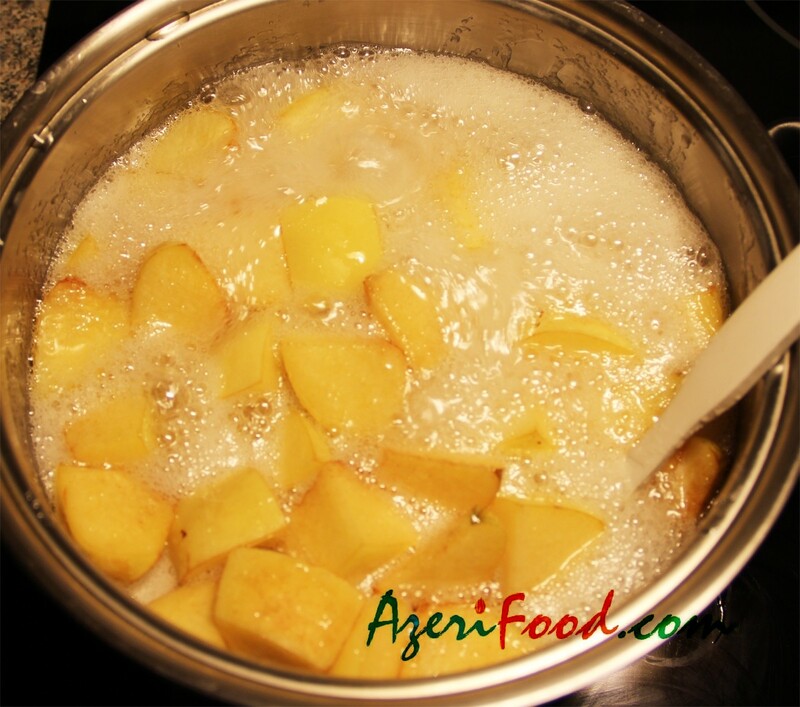 Bring to the boil and simmer for 5 minutes, then remove from the heat and leave to cool. Return to the heat, bring back to the boil and simmer for another 5 minutes. Remove from the heat and allow to cool. Repeat the procedure, bringing the fruit to the boil 5 times in all. 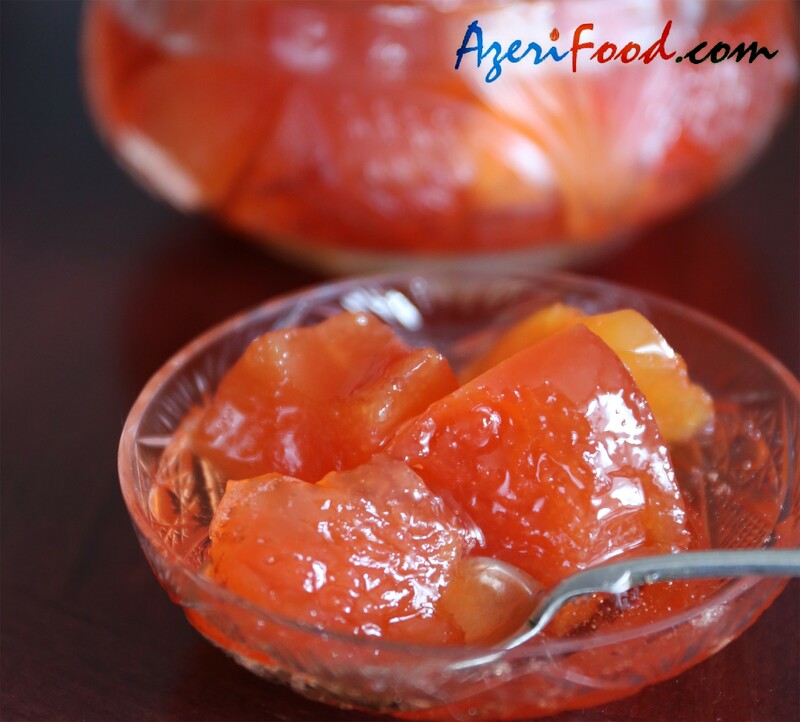 The finished preserves should have a thick, jelly-like consistency and warm red colour. Place the preserves into sterilized jars and seal.